Forty Toes: Sew Purple Couture GIVEAWAY! If you know me you know I am a HANDMADE Junkie! I especially LOVE finding NEW DESIGNERS! 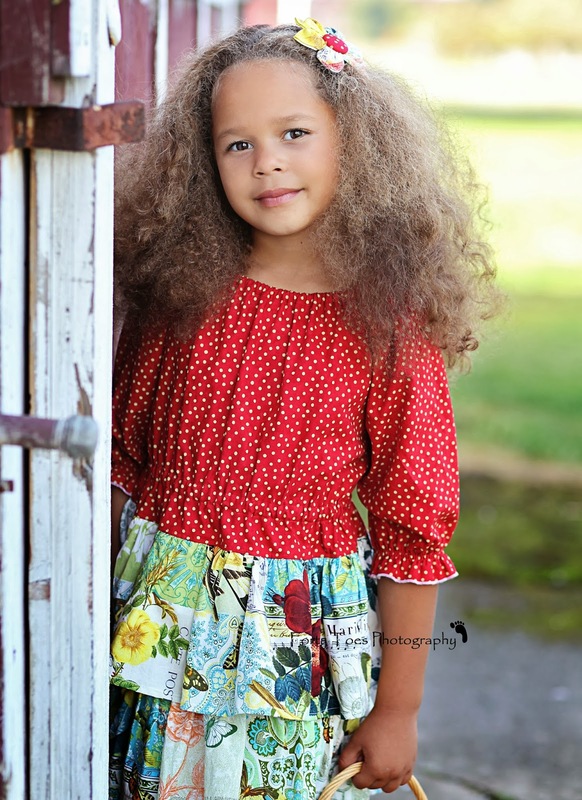 This sweet lady does just FABULOUS work not only designing but when it comes to sewing! 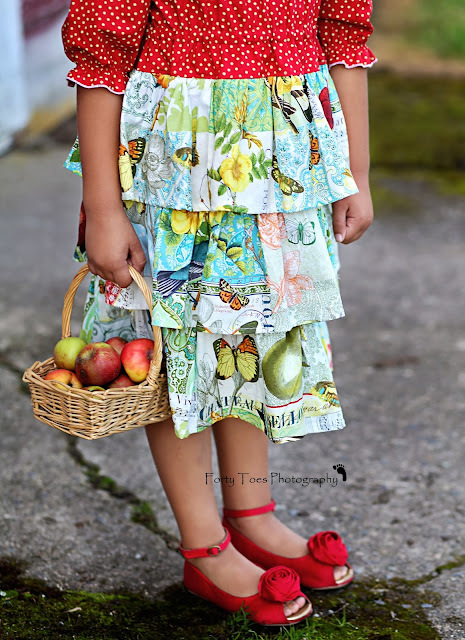 Use code 40TOES for 10% off in her SHOP HERE! 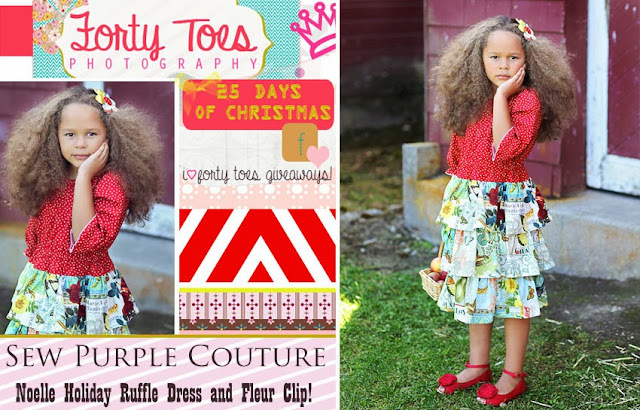 Plus one LUCKY fan can WIN a Noelle Holiday Ruffle Dress and a Fleur Clip a 75 dollar value! 1. 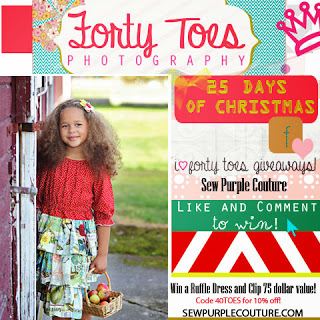 Like Sew Purple Couture fan page!